This year’s Ultra has been announced with some promotional images of who he is and his name is Ultraman Taiga! The promotional images, courtesy of Tsuburaya, give fans a first look at who this year’s new Ultra is, as well as his transformation device and transformation items. Included are images of how he will look in his Ultra forms as well. Also revealed were two other Ultras, Ultraman Titus and Ultraman Fuma, who are rumoured to have one host, Ultraman Taro’s son, Hiroyuki Kudo, who will transform into a giant of light using the Taiga Spark and the Taiga Accessories. Aliens have been emigrating to Earth secretly, but only a handful knows about this truth. Living in such a society, the main character Hiroyuki Kudo begins working at a private security organisation E.G.I.S. (Enterprise of Guard and Investigation Services). The organisation takes care of cases related with aliens, and Hiroyuki works day and night to protect peace. However, there lies a huge secret in him, which he himself is not aware of. He carries Ultraman Taiga’s “particle of light”. The new story begins as Taiga’s powers revive from Hiroyuki’s body! 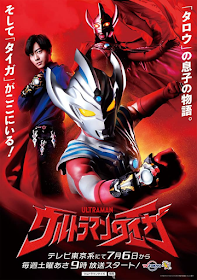 Ultraman Taiga will premiere on July 6, 2019. 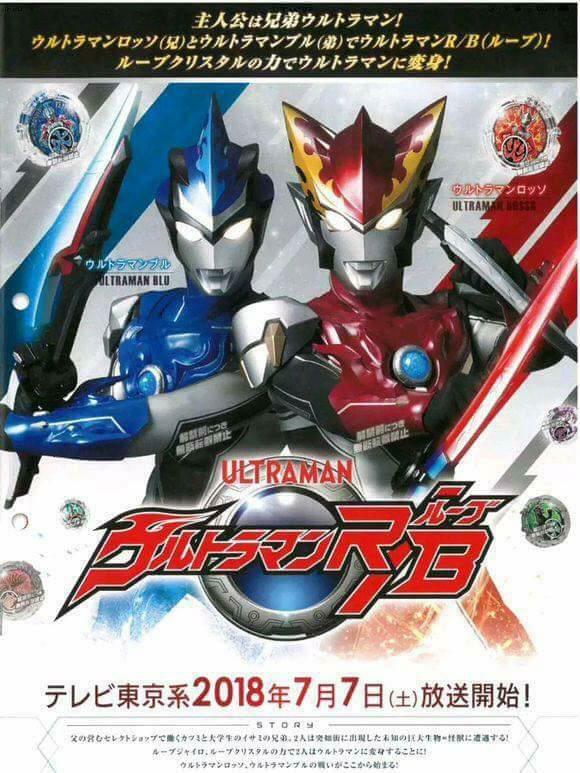 Ultraman Tregear has been confirmed to be the main villain of the series, and take note, Ultraman Taiga is the first Ultra hero debuting in the Reiwa era. What do you think of this year’s Ultra? Are you excited for the series? Let us know on our social media pages! The first new character will be Nate, played by actor Abraham Rodriguez. Nothing else is known at this time. Next we have Ben, played by actor Cosme Flores. Again, no other information was made available. The first new female character after the Yellow Ranger, Betty, will be played by actress Christina Ho. And now we can get into speculation about new characters for the next two. First up is Blaze, played by actor Colby Strong and believed to be a villain corrupted by the Evox organization, alongside our next female character, Roxy, played by Liana Ramirez. It seems diversity is a key point this season, with many actors of varying ethnicity getting involved in the production as major and minor characters. 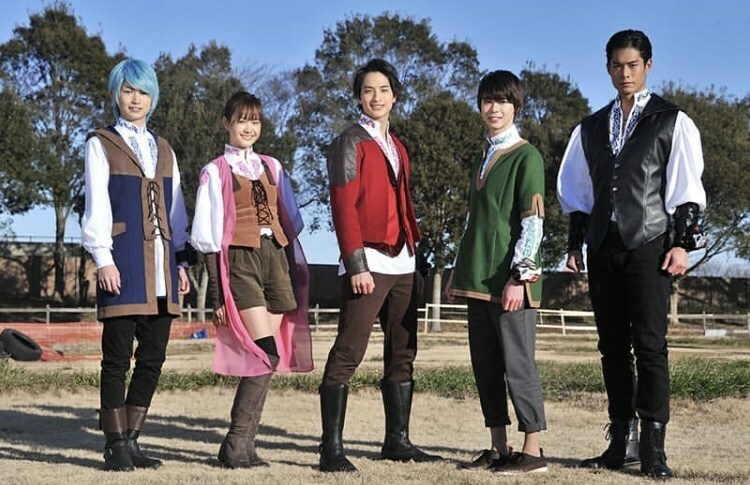 The story is being adapted from Go-Busters and seems to be sticking close to many of the themes of that series, so far. Look for more information to be revealed in the coming months leading up to the premiere. 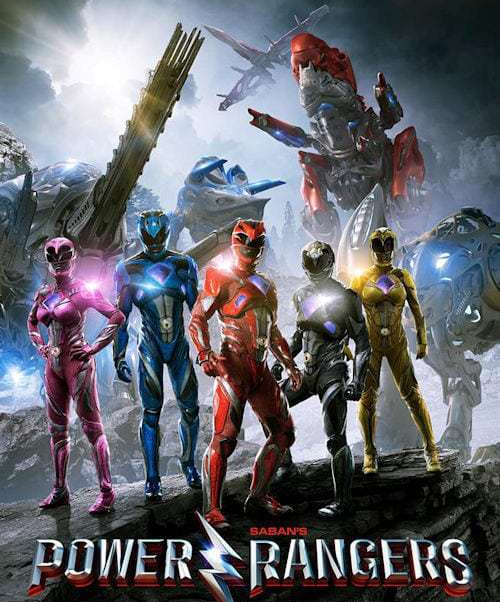 Power Rangers Beast Morphers premieres in February 2019 on Nickelodeon. What do you think of this reveal? Are you excited? Leave your thoughts and let’s discuss! Ginnojo Yamazaki makes his return to the world of Tokusatsu in another patriarchal role as he takes on the role of Ushio Minato, the father of the Minato family. Previously, Yamazaki played Lucky’s father in 2017’s Uchuu Sentai Kyuranger. Ushio Minato is described as a gentle, kind man and owns a fashion boutique called “Quattro M,” though he lacks the business sense to run a store. Through Quattro M, Ushio sells his own designer clothing brand, UshioMinato, and is trying to expand the brand, though his lack of sense for small details makes him unaware his sons are the two Ultramen. Lastly, Makoto Aizen is the president of Eizentech, a company researching unknown energy sources with a focus on space-based technology. The achievements of Eizentech have gained attention from all over the world, though the headquarters is based in Ayaka City, the setting for the show and home of the Minato family. He is confident and friendly, and is most often seen wearing fancy suits. These new characters and actors are already vibrant and full of unique personality traits, which will serve to only deepen and expand the world of Ultraman R/B when it premieres this July. Perhaps the connection between Aizen and the Minato family could be in the clothing designs? Or maybe he will become fascinated with the Ultramen. In addition to these new characters, we were given a bit more in the way of background on the show and some backstory for the two new leads themselves. Katsumi Minato, Ultraman Rosso, was a talented baseball player as a boy, but had to give up his dream when his mother disappeared 8 years before the show begins. He is the only employee at Quattro M, working with his father, and is a temperamental, easily excitable intellectual man. His brother Isami, by contrast, is a college student studying space archaeology, which is the same field the Minato family matriarch studied before her disappearance. He dislikes physical exercise, and studies in his spare time. He respects his older brother for giving up his dream of playing professional baseball to help out with the family, and is described as bright and positive. He is referred to as the “mood maker” of the scenes he is in. Lastly, we got a glimpse at a new weapon, the R/B Slugger, which is similar in design to the Eye Slugger used in the past by UltraSeven. R/B Slugger can change forms for each brother, changing its attack capabilities. Ultraman R/B is being directed by Masayoshi Takesue, while the writing will be handled by a team consisting of Ultraman Orb writer Takao Nakano and Super Sentai veterans Junki Takegami (Hyakkujuu Sentai Gaoranger) and Satoshi Ito (Engine Sentai Go-Onger). Ultraman R/B premieres July 7th, and is set to run for 25 episodes. Look for more details and information as we get closer to the release date. Finally, we have a wealth of information straight from the source. In a press release, linked below, Tsuburaya Productions have revealed the synopsis for the plot of Ultraman R/B (Ruebe), as well as a release date. The series will feature two brothers as Ultraman hosts. The brothers, Katsumi and Isami Minato, live with their sister and father, and seemingly stumble upon the R/B Gyro and R/B Crystal accidentally. Katsumi, played by 24-year old actor Yuya Hirata will become Ultraman Rosso, with a base form using Fire, and Isami, played by 22-year old Ryosuke Koike will become Ultraman Blu, whose base form is Water. These will be the Rosso Flame and Blu Aqua states we have seen in magazine scans previously. Also seen in the older scans, and now confirmed, is the R/B Gyro and R/B Crystal system used by the brothers to transform. High-resolution images were included in the article, showing the device and the base R/B crystal for each brother. The PV included with the press release also showed more details, and each suit in action, so check that out for more visuals! The story’s themes will be “bond” and “love,” according to Tsuburaya, and seems to indicate an underlying theme of maturity, of growing up and realising what is important in life. This seems to indicate that the brothers will need to overcome conflicts not only with enemies, but with each other, and that they will meet new allies along the way. The release includes high-resolution photos of both new Ultraman suits, as well as their human “hosts” as seen below, and thoughts from the new actors on entering the franchise. Also included in the press release is a statement from Ryosuke Koike in which he reveals that “Ultraman series have long been my aspiration since I was little.” He acknowledges that the bar is set very high by what came before, but adds that he will strive to live up to it. Koike goes on to add that he understands the influence heroes like Ultraman can have on children and that he wants to play the role in a positive way. 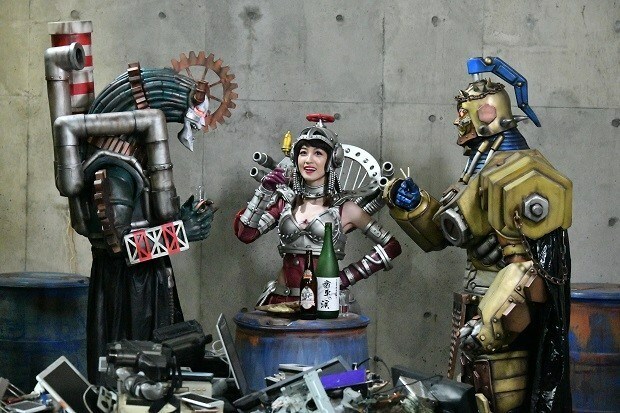 Personally, I am very excited to see what a team who appears this passionate about a project can do with a world and lore as deep as Ultraman. It seems, based on the initial information here, the Tsuburaya definitely picked the right team for this series. On top of the two very enthusiastic leads, the series will be directed by Masayoshi Takesue, whose previous credits include Ultraman X, Ultraman Orb, and Ultraman Geed. Ultraman R/B premieres July 7th on TXN in Japan, and will run for 25 episodes. Worldwide release and simuldub through Crunchyroll is likely to follow. What are your thoughts on the new Ultraman series? Leave a comment and let’s discuss! Article Source: Tsuburaya Productions, Co. Ltd. Following a weekend marathon of Ultraman Leo done by Shout! Factory and Twitch in association with with Tsubaraya Productions, Takahashi Ryota, Tsubaraya’s business manager, staged a press conference on the 24th April where he announced the long-awaited final verdict on in regards to the legal showdown between Tsubaraya and Thai-based company Chaiyo! in regards to the licensing dispute over the on-going Ultraman franchise. It was settled at a California Federal Court where it was declared that an alleged contract held by the Thai-based company is null and void. Tsubaraya Productions also summarily published an English press release on their own website at 10pm PDT. With that declaration, Tsubaraya Productions are now finally fully free to distribute their first 6 entries to the Ultra Series: Ultraman, Ultra Q, Ultraman Taro, Return of Ultraman, Ultra Seven and Ultraman Ace, in North America and beyond. While this is good news for all the Ultraman fans out there, with any luck the franchise won’t hear from Sampote Saengduenchai, TIGA International or UM Corporation ever again. Are you excited by the prospect of getting the early Ultraman series on official DVD or via streaming services? Let us know your favourite Ultra in the comment section below! Ultraman 2018 now has a name and a release date! Via the latest image from Tsuburaya shown below, the title has been confirmed as Ultraman R/B (pronounced Rubu, read as Rube) and will feature two protagonists, now officially dubbed Ultraman Rosso (red) and Ultraman Blu (blue). The primary series antagonist, as revealed earlier, will be Ultraman Orb Dark. All three use an Orb gimmick to obtain their power, with Rosso drawing from Ultraman Taro and Blu from Ultraman Ginga, respectively. Ultraman Orb Dark, as his name implies, will be a re-imagining of the classic hero. This announcement comes after a busy week for Tsuburaya, with magazine scans and information about the new series coming in plentiful bursts earlier in the week to reveal the changers, gimmick items, and Ultraman Orb Dark’s existence. 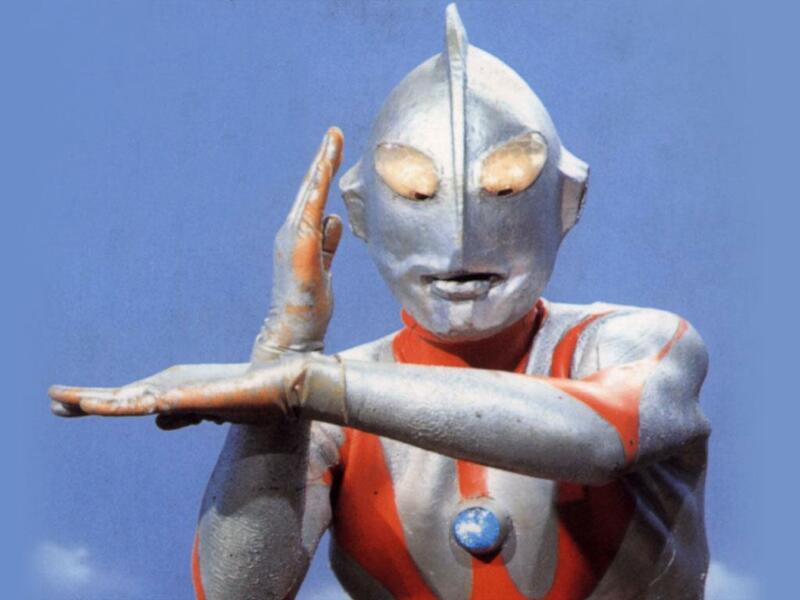 There is still much speculation about the plot of the show, and how it ties to existing Ultraman canon. Will Geed make a return appearance? Will the two new characters have a mentor in the form of some older Ultraman veteran? Only time will tell, but look for Ultraman Rube to premiere in Japan on July 7th, 2018. The global release will follow shortly after. What are your thoughts on the new show? Leave a comment and let’s discuss! 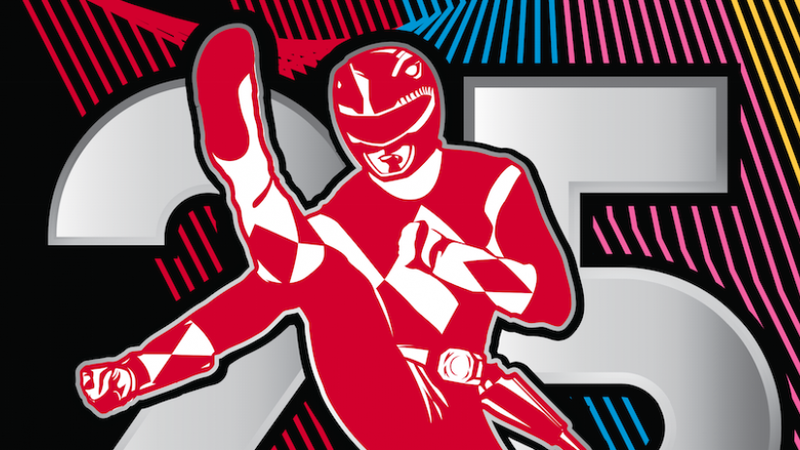 In conjunction with their announcement at today’s Licensing Expo, Saban Brands sent out the following press release detailing the early plans for their 25th Anniversary celebration. Are you excited for the 25th Anniversary? What do you think of the first announcements? Join the discussion in the comment section below or on Toku Toy Store’s Facebook and Twitter pages!